Much has been made of the way President Barack Obama seemingly changes laws by the stroke of his Oval Office pen. For instance, in February, he unilaterally delayed the employer mandate – for the second time – and is pondering an executive order to halt deportation of certain immigrants who entered the country illegally. Since the Obama Administration has supported the employer mandate, and apparently does not theoretically object to deportations, his actions are not justifiable on constitutional grounds. So how can the president seem to act so arbitrarily? The President feels justified to act arbitrarily because of a number of trends that have combined to strengthen his hand over and against Congress’. Understandably, the President would like to see his preferred policies in place, so he can use various Executive actions—like regulations, Executive orders, National Security Directives, signing statements and proclamations—to implement them. However, even when they apparently contradict the law as written, they tend to remain in place due to constitutional law and the judiciary’s traditional restraint when it comes to weighing in upon Legislative-Executive Branch conflicts. A regulation is a general statement issued by an agency, board, or commission that has the force and effect of law. Congress often grants agencies the authority to issue regulations. Sometimes Congress requires agencies to issue a regulation; sometimes Congress grants agencies the discretion to do so. Many laws passed by Congress give Federal agencies some flexibility in deciding how best to implement those laws. Federal regulations specify the details and requirements necessary to implement and to enforce legislation enacted by Congress. Past Congresses are partly to blame for the Executive’s power over the country’s regulations. The Congress has delegated enormous power to the Executive Branch to actually flesh out the laws it passes. In 1946, Congress passed the Administrative Procedures Act (APA) that set up rules for the way the Federal Government could propose and establish regulations. The roots of the law came from a desire to contain President Franklin Roosevelt’s expansion of Federal powers. To implement the New Deal, President Franklin D. Roosevelt had simply been creating agencies, a practice which many of his fellow Democrats in Congress resented as an incursion upon their prerogatives. The APA allowed Congress to pass general statements of law and direct the agency required to enforce the law to propose regulations necessary to do so. Those regulations must be developed through hearings, published in the Federal Register, opened for public comment, and then finalized. Some laws – like the Patient Protection and Affordable Health Care Act (Obamacare, for short) – are so massive that it takes dozens of agencies and thousands of pages of published regulations before the law can actually be carried out. How much wiggle room the Administration has to write the regulations depends on how tightly the Congress writes the law. The “unitary executive theory” has long been debated by constitutional scholars. At issue is whether the President is required by the Constitution to wield directive authority, or whether or not the President’s authority to issue directives is limited to what Congress specifically grants him by statute. Yet certain limitations have always been acknowledged. Thomas Jefferson, for instance, refused to enforce the Alien and Sedition Act because he believed it to be unconstitutional. Other refusals to comply with the law would be less acceptable. No one, for example, would have thought that President Obama could have ordered the IRS to suspend the Bush tax cuts simply because he opposed them. That would require a law to be passed. Formal regulations are not the only tool that the President has at his disposal. The President has many pseudo-legislative powers, including the ability to issue proclamations, attach signing statements to legislation, issue generally top-secret National Security Directives and sign Executive orders. Proclamations can be political instruments used to praise certain behaviors, as well as celebrate national holidays, etc. Some famous proclamations are Washington’s and Lincoln’s Thanksgiving proclamations. The most historical one was Lincoln’s Emancipation Proclamation, though in many ways the Emancipation was more of an Executive order than a traditional proclamation, since it ordered Federal soldiers not to return slaves to their owners in states in rebellion against the Union. National Security Directives are those things the President signs for Jack Bauer when he is trying to save the nation. A non-fictional example would be the order President Obama signed to initiate the killing of Osama bin Laden. 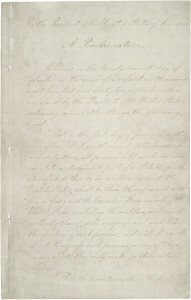 Executive orders are directives issued by the president to officers of the executive branch, requiring them to take an action, stop a certain type of activity, alter policy, change management practices, or accept a delegation of authority under which they will henceforth be responsible for the implementation of law (16). They are not mentioned in the Constitution, but their use has been developed in support of the President’s constitutional duties. Executive orders are somewhat akin to directions an Executive will give to his employees – in this case, the millions of individuals who work for the Federal Government. And they are paid simply to execute the laws passed by Congress. The reality, however, is a lot more complicated than that. Executive orders started as an informal practice, but were given form and structure by Presidents Ulysses Grant, Herbert Hoover and John F. Kennedy. Under Executive Order 11030, issued by President Kennedy and amended by Johnson, Carter and Reagan, Executive orders are submitted to the Director of the Office of Management and Budget (OMB) for approval. The draft then goes to the Attorney General for consideration of its legality and then to the office of the Federal Register to make sure it is in the correct form. If all steps are cleared the order is submitted to the President for signature. Once signed, it must be published in the Federal Register. It’s easy to see why these are attractive to Presidents. It is far simpler to issue an Executive order than to get a bill through Congress, or through the arduous process of promulgating a regulation. No wonder President Obama proclaimed he was going to enact his 2014 legislative agenda with his “pen and phone”, without relying on Congress to pass legislation. There have been some dramatic uses of Executive orders in American history. 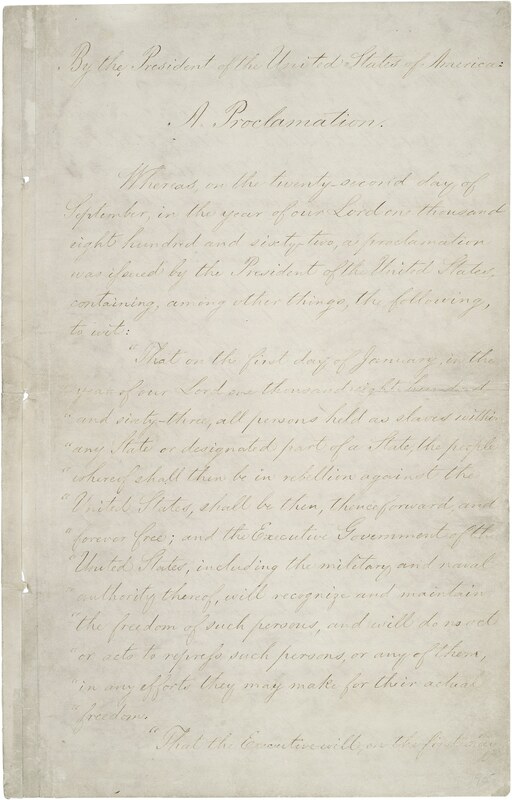 Lincoln issued an executive order to establish military courts in Louisiana. FDR used them to implement his New Deal policies and to order the incarceration of Americans of Japanese descent during World War II. Truman used them to desegregate the military. President Kennedy created the Peace Corps. President Johnson mandated that affirmative action be used in government contracting. President Richard Nixon imposed wage and price controls on the economy. President Carter imposed an oil import fee. President Reagan fired striking air traffic controllers. President George W. Bush created an Office of Homeland Security, which Congress later turned it into a cabinet level position. Aside from the fact that the President can use them to make significant policy changes, there is another practical problem with all of these Presidential orders. They remain in effect unless specifically overturned by a future President. It is complicated, because before President Grant’s Executive order that regularized these commands, there was often no record kept of them – indeed some were handwritten, or scribbled in the border of maps. This has often led to confusion, as in a 1999 Supreme Court ruling that overturned an Executive order issued by President Zachary Taylor in 1850 that had revoked rights granted to an Indian tribe in an 1837 treaty. In fact, the United States was accidentally under a continuous state of emergency from 1933 until 1976 because no one had ever overturned Franklin Roosevelt’s order during the Great Depression. In 1974, Congress, taking no chances, terminated all pending emergency declarations ever issued by a President after two years. Rarely do the courts directly overturn Executive orders. One of the few times it has was in Youngstown Sheet and Tube Co. v. Sawyer, in 1952 where the Supreme Court overturned Executive Order 10340 by President Harry Truman that ordered the Federal Government to take control of American steel companies that were under a threat of a strike, as the potential loss of our steel manufacturing base in the middle of the Korean War was a threat to national security. The Supreme Court ruled that it was the function of the Congress to make laws, and the President’s function to execute those laws. In the opinion of the Court, Executive Order 10340 crossed the line between these two functions. In short, the President was attempting to make law, rather than enforce existing law. The Supreme Court overturned an Executive order during the Clinton Administration. E.O. 12954, issued by President Clinton, would have prevented the Federal Government from contracting with companies that permanently replaced striking workers. The U.S. Chamber of Commerce sued, and the court ruled that since Congress had specifically considered and rejected this action during its consideration of the National Labor Relations Act, that the President was attempting to unconstitutionally supersede the law. A second way executive orders can be overturned is by an act of Congress. However, this has a practical limitation. Congress has previously tried to veto actions, and had them overturned by the courts. The most famous case is INS v. Chadha, which ruled the legislative veto unconstitutional, since the Constitution requires the President to sign legislation for it to go into effect. This has had widespread impact on the Congress’ ability to regulate Presidential activities. For instance, the War Powers Resolution permitted a President to initiate military action without an express sanction from Congress included a provision to require the President to withdraw if a simple majority of Congress disapproved; the resolution did not require the President’s signature. Following INS v. Chadha, the War Powers Resolution had to be amended to pass constitutional muster—i.e., the President would henceforth have to sign the resolution of disapproval, and the standard two-thirds majority would be necessary for overriding the veto.. The situation would be much the same for a disapproval resolution for any other Executive action. So in reality, the only way Congress can overturn an Executive order is to pass legislation that changes the President’s claimed authority to issue the order. Like any other bill, it must pass both Chambers and be signed by the President. Since a President is unlikely to sign legislation overturning his own Executive order, a two-thirds supermajority of both the House and the Senate must be achieved to override his veto. To put a conclusive point on it, of the more than 2000 Presidential vetoes issued, Congress has overridden fewer than 100. Although Congress rarely can override an Executive order, they are not totally without options. A more typical scenario is that the President’s Executive order is superseded when the President and the Congress cooperate. For example, President George W. Bush issued an Executive order creating an office of Homeland Security in the White House following the 9/11 terrorist attacks, and Congress responded by cooperating with the Administration to pass a government reorganization bill that created a cabinet-level position for the Director of Homeland Security. Congress could supersede the President’s refusal to enforce immigration laws by passing an immigration reform bill specifically stating how the new law should be enforced. Similarly, Congress has also been so limited in the area of curbing regulation. In 1996, the Congress did pass the Congressional Review Act that reinforced Congress’ power to overturn a proposed regulation, but only if the President signs the joint resolution or has his veto overridden. Congress has always been authorized to overturn a regulation, but the unique aspect of the Congressional Review Act was that Congress changed its own procedures – which Article 1, Section 5 of the Constitution allows – to allow the resolution overturning the regulation to be considered on an expedited basis. This has only been used once to reject a Clinton Administration regulation on ergonomics. The third way Executive orders are overturned is by an Executive order issued by a subsequent President. In fact, this is the most common way Executive orders are overturned. President Reagan famously revoked 39 Executive orders put in place by the Carter Administration, with most of the repeals taking place before the Inaugural Parade had passed the White House reviewing stand. The changes included everything from removing price controls on oil to freezing all regulatory activities until a review could be made by the new Administration. On his first day in office, George W. Bush similarly imposed a 60-day moratorium on all new rules and established a hiring freeze for all Federal agencies. Other Executive orders are now routinely ping-ponged when Administrations change parties. President George H.W. Bush issued his Mexico City Policy, which prohibited all U.S. non-governmental organizations (NGOs) receiving Federal money from performing or promoting abortion services as a method of family planning with non-US government funds in other countries. This Executive order was repealed by President Clinton, reinstated by President George W. Bush, and then repealed once again by President Obama. Presidential pseudo-legislative powers not only dramatically increase the President’s ability to manage the government, but also provides an extra-constitutional—and sometimes, perhaps, unconstitutional—means of generating the equivalent of legislation. While Congress has frequently complained of this end run around its power, the courts, except in rare cases, have made it nearly impossible for Congress to override Executive orders with anything short of a two-thirds supermajority in both the House and Senate. It is a tool by which Presidents of both parties have increased their role in the making of laws, not just their execution. The real power to go around Congress also increases the President’s leverage in negotiating legislation with the Congress in ways the Founders probably never would have anticipated. In Federalist 73, Alexander Hamilton wrote that “In the case for which it [the veto power] is chiefly designed, that of an immediate attack upon the constitutional rights of the Executive, or in a case in which the public good was evidently and palpably sacrificed.” Things have certainly changed. Through changing precedent and the ever-encroaching power of the Executive against the Legislative branch, President Obama does have enormous power to use his pen and phone to influence the policy debate. Now that he has been elected to his final term, the only realistic check on his power is the impact his decisions have on the fortunes of his political party in the mid-term elections. Ironically, establishing a republic was supposed to allow the people’s representatives to act on the people’s behalf, but in the modern era, practically speaking, the only realistic check on the President’s powers appears to be the public opinion of the people – giving the U.S. system an air of direct democracy that would have surprised the authors of the Constitution. Cooper, Phillip J. By Order of the President. Lawrence: University of Kansas Press, 2002.